Exceptional fossils can preserve diagenetically‐altered biomolecules. Understanding the pathways that lead to such preservation is vital to utilizing fossil information in evolutionary and palaeoecological studies. Experimental taphonomy explores the stability of tissues during microbial/autolytic decay or their molecular stability through maturation under high pressure and temperature. Maturation experiments often take place inside sealed containers, preventing the loss of labile, mobile or volatile molecules. However, wrapping tissues inside aluminium foil, for example, can create too open a system, leading to loss of both labile and recalcitrant materials. We present a novel experimental procedure for maturing tissues under elevated pressure/temperature inside compacted sediment. In this procedure, porous sediment allows maturation breakdown products to escape into the sediment and maturation chamber, while recalcitrant, immobile components are contained, more closely mimicking the natural conditions of fossilization. To test the efficacy of this procedure in simulating fossil diagenesis, we investigate the differential survival of melanosomes relative to proteinaceous tissues through maturation of fresh lizard body parts and feathers. Macro‐ and ultrastructures are then compared to fossils. Similar to many carbonaceous exceptional fossils, the resulting organic components are thin, dark films composed mainly of exposed melanosomes resting on the sediment in association with darkened bones. Keratinous, muscle, collagenous and adipose tissues appear to be lost. Such results are consistent with predictions derived from non‐sediment‐encased maturation experiments and our understanding of biomolecular stability. These experiments also suggest that organic preservation is largely driven by the original molecular composition of the tissue and the diagenetic stability of those molecules, rather than the tissue's decay resistance alone; this should be experimentally explored in the future. Taphonomy examines the physical (e.g. transport or burial) and chemical (e.g. microbial/autolytic decay or diagenesis) changes involved in fossilization, from death to discovery (Parry et al. 2018). Determining the relative impact of processes that alter organisms during fossilization has benefitted from advances in analytical techniques and experimental frameworks (Briggs & McMahon 2016; Parry et al. 2018; Purnell et al. 2018). Experiments may help elucidate the chemical and physical factors influencing decay (Briggs & Kear 1993; Clements et al. 2017), patterns of decay (Sansom et al. 2010a, b, 2013) and authigenic mineralization of decaying tissues (Briggs et al. 1993; Briggs & Kear 1994). Decay resistance, however, may not always correlate with fossilization potential (Wilson et al. 2016; Parry et al. 2018). Some decay‐resistant tissues have low fossilization potential, such as the keratin protein component of integument (Saitta et al. 2017a) or the collagenous notochord (Parry et al. 2018); decay‐labile tissues can contain recalcitrant components, such as melanosomes within the retinal pigment epithelium (Clements et al. 2016). For example, eyes decay relatively quickly (Sansom et al. 2010a, b, 2013), but preserve commonly in carbonaceous exceptional fossils (Vinther et al. 2008; Sallan & Coates 2014; Clements et al. 2016). In order to understand chemical changes to organic molecules, taphonomists have adopted methodologies from fossil fuel petrology and organic geochemistry (Rhead et al. 1971; Peters et al. 1981; Lewan 1983; Monthioux et al. 1985; Lewan et al. 1986; Rullkötter & Marzi 1988; Teerman & Hwang 1991; Behar et al. 1995, 1997, 2003; Koopmans et al. 1996; Versteegh et al. 2004; Schimmelmann et al. 2006). These maturation experiments, as they are called, illuminate the alterations of organic molecules through exposure to elevated temperatures and pressures (typically c. 200–300°C/several hundred bars/hours–days for palaeontological studies) and have proven valuable in simulating the processes taking place during late diagenesis (Stankiewicz et al. 2000; Gupta et al. 2006a, 2007a; Schiffbauer et al. 2012; Glass et al. 2013; Colleary et al. 2015; Briggs & McMahon 2016; Saitta et al. 2017a). The underlying concept behind maturation experiments is kinetics; by subjecting samples to elevated temperatures and pressures over short timescales, chemical degradation reactions that normally occur at relatively lower diagenetic temperatures over much longer geological durations are accelerated and can be observed. Maturation experiments can help determine which organics have high fossilization potential and can produce results that approach fossils in chemical signature (Rhead et al. 1971; Stankiewicz et al. 2000; Gupta et al. 2006a, 2007a; Glass et al. 2013; Colleary et al. 2015; Saitta et al. 2017a). The stability of organic molecules over geological timescales is related to their chemical structure, which influences the thermodynamics and kinetics of chemical reactions. Hydrophobic, water‐insoluble organic molecules with a carbon backbone can show high longevity with minimal alteration, while nucleic acids and proteins show the lowest longevity of biomacromolecules due to their thermodynamically unstable phosphodiester and peptide bonds, respectively, and the varying thermal stability of amino acids (Eglinton & Logan 1991). Maturation experiments typically take place within small, sealed capsules composed of noble metals (e.g. c. 2 mm diameter in some water‐pressurized autoclaves); labile or volatile molecules produced during maturation that might normally be lost during fossilization are trapped in the capsule (Saitta et al. 2017a) and will be analysed alongside more stable molecules, unless subsequent treatment of the product with solvents is performed (Stankiewicz et al. 2000). Furthermore, macrostructural observations are often difficult, and decay and maturation experiments are rarely integrated (Gupta et al. 2009; Saitta et al. 2017a, b). It is possible to mature larger tissues within aluminium foil using an Ar gas pressurized autoclave (McNamara et al. 2013), but this can allow leaking of maturation products. Within common timeframes used in maturation experiments (e.g. c. 24 h or more), entire tissue samples can leak from such a foil setup and be lost (Saitta et al. 2017a). Note that these previous foil experiments (McNamara et al. 2013) only reported on 1 h maturation treatments (McNamara et al. 2017) with 24 h durations resulting in sample loss (Saitta et al. 2017a). We have designed an experimental protocol that allows the maturation of small tissue samples within compacted sediment. Since tissues consist of a multitude of molecules with different stabilities, maturation experiments inside small, sealed containers will generate a consortium of recalcitrant and labile products. This consortium typically results in a solid or fluid with some degassing upon opening the container, as evidenced by a strong odour (Saitta et al. 2017a). Analysing this mixture and comparing it to fossils may be complicated, as volatile and soluble molecules would be expected to dissipate within porous rock matrix. Stankiewicz et al. (2000) treated matured samples with chloroform to yield the recalcitrant fraction only. However, this approach would be expected to result in the loss of molecules that are soluble in non‐polar organic solvents that may be of interest as geochemical biomarkers, such as steroid lipids (Mackenzie et al. 1982; Dreier et al. 1988; Stevens et al. 2010; Melendez et al. 2013; Plet et al. 2017). During fossilization, tissues are held within a matrix of sediment, which is sometimes, but not always, cemented. Sediment is predicted to hold the more stable and less mobile components of tissues in place, while fine pore spaces allow for labile fluids and gases to leach away. Therefore, fossilization is often expected to occur, at least partly, in a fairly open system. To overcome these difficulties, with implications for testing a wide variety of taphonomic hypotheses, our novel experimental procedure involves initial compaction in sediment, followed by maturation. To monitor specimen macrostructure with heterogeneous composition (e.g. in the case of multiple organs or tissues with colour patterns) the maturation chamber is relatively large (19 mm inner diameter as opposed to c. 2 mm diameter for some water‐pressurized autoclaves). We hypothesize that in our experiments, the encasing, compacted sediment will establish an open‐system filter whereby labile degradation products escape out into the sediment and maturation chamber. On the other hand, recalcitrant, immobile components with preservation potential are expected to remain trapped within the compacted specimen. This experimental platform would then allow for testing of the relative stability and mobility of the various organic and inorganic components in complex tissues and for predicting what components of heterogeneous tissues are likely to be lost or retained in fossils. As discussed in the following section, previous analyses of fossils and non‐sediment‐encased maturation experiments, as well as an understanding of biomolecular stability, allow us to predict how a sediment filtration mechanism, similar to that expected during fossilization, might appear. To test this hypothesis of sediment filtration, we chose to mature two types of vertebrate specimens that occasionally preserve carbonaceous soft tissue fossils: feathers and scale‐clad diapsids, here represented by lizards. Feathers are mainly composed of keratin protein and can be pigmented, most commonly by melanin. Freshly deceased lizards will have various proteins (mostly keratin, collagen and muscle), adipose tissue and other lipids, as well as pigments such as melanin. The results of our sediment‐encased maturation experiments were then compared to fossils macro‐ and ultrastructurally through microscopy to judge the efficiency of the procedure at establishing a sediment filter and improving upon previous maturation experiments in simulating fossilization. According to a conservative interpretation of organic stability, amniote integument, including feathers and diapsid skin, can preserve in fossils as a film composed of melanosomes (Vinther et al. 2008, 2016; Lindgren et al. 2014; Vinther 2015). Non‐pigmented feathers and scales leave no organic residue, but can still preserve through residues of calcium phosphate, known to harden keratinous tissues in vivo (Blakey et al. 1963; Pautard 1963, 1964), which can be detected through fluorescence imaging (Mayr et al. 2016; Vinther et al. 2016). However, we focus here on organic preservation pathways. The discovery that melanosomes preserve commonly in exceptional fossils (Vinther et al. 2008; Colleary et al. 2015) has opened new avenues of palaeontological research, but their study has not been without controversy. These structures have alternatively been identified as fossil bacteria (Wuttke 1983; Davis & Briggs 1995), a position still maintained by some (Moyer et al. 2014; Lindgren et al. 2015; Schweitzer et al. 2015). However, this stance has been countered by the fact that microbodies commonly found in fossil skin, hair and feathers conform to melanosomes in distribution, size and organization (Vinther et al. 2008; Vinther 2015, 2016). Furthermore, chemical analyses show that these structures contain melanin (Glass et al. 2012, 2013; Lindgren et al. 2012, 2014; Colleary et al. 2015; Clements et al. 2016; Gabbott et al. 2016; Brown et al. 2017). In addition, it has been suggested that keratin protein can preserve organically in fossils (Schweitzer et al. 1999, 2015; Edwards et al. 2011; Moyer et al. 2016a, b) and, thus, melanosomes might be obscured by a keratin protein matrix (Zhang et al. 2010; Moyer et al. 2014; Pan et al. 2016). However, studies have described melanosomes as being exposed on the sediment while non‐pigmented regions yield only rock matrix (Vinther et al. 2008; Colleary et al. 2015; Vinther 2015). More recently, studies have argued that the only constituents of keratinous tissues preserved deep in the geological record are calcium phosphate and pigments (Mayr et al. 2016; Vinther et al. 2016; Saitta et al. 2017a). Experimental taphonomy supports the poor preservation potential of keratin protein. Previous, non‐sediment‐encased maturation experiments turned keratin into a volatile‐rich, water‐soluble fluid (Saitta et al. 2017a) while extracted melanosomes survived largely intact (Colleary et al. 2015). This contrasting behaviour between keratin protein and melanin during maturation suggests that diagenetic degradation and loss of keratin protein is to be expected in fossils, leaving behind melanosomes. However, this keratin–melanin dynamic has yet to be experimentally observed simultaneously. Similarly, decay‐resistant collagenous tissue (Sansom et al. 2010a, b, 2013) is expected to be diagenetically unstable (Parry et al. 2018), like other proteinaceous organics (Bada et al. 1999). However, epidermal collagen protein has been proposed in Mesozoic fossils (Lingham‐Soliar et al. 2007), although such claims are debated (Smith et al. 2015; Smithwick et al. 2017). Regarding the specific experiments described here, we hypothesize that tissues containing diagenetically‐unstable organics such as proteins and labile lipids (e.g. keratinous, collagenous, muscle and adipose tissues) will largely become degraded and lost into the sediment, while diagenetically‐stable organics such as melanin (i.e. melanosomes) will tend to remain with the specimen. If the hypothesized filtering effect of porous sediment on diagenetically‐altered organic materials is correct, then experimental results from sediment‐encased maturation should be expected to resemble fossils such that preserved organic stains consist largely of exposed melanosomes resting on the sediment with a loss of surrounding tissues. The relative role of diagenesis versus decay in molecular preservation? A second aspect of our experiments involves investigating the relative importance of diagenesis and decay in carbonaceous exceptional fossils. None of our experimental samples were subjected to a decay treatment prior to sediment‐encased maturation. In many natural settings, these tissues are often rapidly decayed through autolytic or microbial mechanisms. We therefore specifically test the survivability of pristine (i.e. non‐decayed) tissues during maturation. We predict that if molecular thermal stability is a major factor in determining the composition of carbonaceous exceptional fossils, then our experimentally matured samples will experience dramatic volume loss and largely consist of a film of melanosomes similar to fossil observations, without requiring a prior decay treatment. Fresh feathers (Gallus gallus and Meleagris gallopavo from UK farms) and lizards (Anolis captured from the wild in Arizona, USA) were matured shortly after acquisition/humane euthanasia via CO2 asphyxiation with their full range of tissue composition present (see Saitta et al. (2018) for additional, preliminary results on non‐vertebrates). Specimens were buried in easily‐compacted bentonitic clay (purchased from Clay Terra; https://clayterra.com/) inside a metal piston and compacted using a hydraulic press (9–18 tonnes over 126.7 mm2), producing a consolidated tablet (Fig. 1A). Previous attempts with loose sediment did not produce results macrostructurally comparable to fossils, or amenable to easy structural analysis, indicating that compaction is important in establishing the desired pore space filtration. Tablets were loaded into a welded metal tube (19 mm inner diameter), forming an airtight chamber tapped for a high‐pressure airline, with the goal of providing space for the escape of maturation products from the sediment (Fig. 1B). The chamber resided inside a ceramic‐lined laboratory oven. The airline exited a hole in the oven and connected a pressure‐regulated air compressor. Experiments ran at 210–250°C/225–300 bars/12–23 h (Saitta et al. 2018) consistent with other maturation studies of fossilization. After maturation, the chamber was cut open using a lathe. Tablets were split into a part and counterpart and analysed with light microscopy (Nikon SMZ‐U stereomicroscope, Nikon D810 DSLR camera) and scanning electron microscopy (SEM, gold coated specimens, Zeiss Evo10 SEM, Lab6 emitter). Figure 1 Open in figure viewerPowerPoint Experimental setup. A, compaction phase. B, maturation phase. Colour online. BHI, Black Hills Institute Museum, Hill City, South Dakota, USA; BSP, Bayerische Staatssammlung für Paläontologie und Geologie, Munich, Germany; IVPP, Institute of Vertebrate Palaeontology & Palaeoanthropology, Beijing, China; LEIUG, Leicester University Geology Department, Leicester, UK; MB, Humboldt Museum für Naturkunde, Berlin, Germany; MU, National Museum of Ethiopia, Authority for Research & Conservation of Cultural Heritage, Addis Ababa, Ethiopia. Matured sediment tablets consistently split to reveal organic‐containing parts and counterparts amenable to being easily manipulated and analysed. Lizard body parts lost significant volume (Fig. 2A–I). Only flattened and darkened skeletal material remained (greater temperature produced darker hues in the bones), surrounded by a thin, dark film where soft tissues existed previously, resulting in a body outline. SEM revealed that these organic stains lacked original tissue structure and histology, were associated with sediment impressions, and contained exposed oblate melanosomes (about 0.4 and 0.3 μm in length and width, respectively) resting on the sediment. No ligaments or other clearly identifiable collagenous, keratinous, adipose or muscle tissues were discernable. Figure 2 Open in figure viewerPowerPoint Experimental lizards compared to fossils. A–C, lizard foot: A, before burial; B–C, counterpart after maturation showing browned bones, organic stains, and scale imprints. D–E, lizard hand: D, before burial; E, after maturation showing scale imprints, some organic staining and discoloured bones. F–G, lizard head: F, before burial; G, after maturation revealing browned, crushed bones and organic stain. H–I, SEM images of exposed oblate melanosomes from the matured lizard foot in A–C. J, fossil oblate melanosomes from a pipidid frog epidermis, Early Miocene, Mush Valley, Ethiopia (MU 32‐2A/B) (frog silhouette: Sarah Werning CC BY 3.0; http://www.phylopic.org/). K–L, fossil lizards: K, Eocene, Green River Formation (BHI‐102B; image courtesy of Nicholas Edwards); L, Early Cretaceous, Yixian Formation (IVPP V14715; image courtesy of Wang Yuan). Scale bars represent: 5 mm (A–B, D–G, K); 1 mm (C); 2 μm (H); 1 μm (I–J); 1 cm (L). Colour online. Feathers lost volume, producing thin, dark stains (Fig. 3A–J). SEM revealed that these organic stains contained free‐lying oblong melanosomes (about 1.1 and 0.2 μm in length and width, respectively) in regions that were pigmented in vivo, resting on the sediment. The melanosomes lost their original alignment. Regions that were non‐pigmented in vivo lacked melanosomes and showed barb and barbule impressions in the sediment. Figure 3 Open in figure viewerPowerPoint Experimental feathers compared to fossils. A–G, black and white feather: A, before burial; B, counterpart after treatment (in this case, involving a second compaction step after maturation) showing preferential preservation of more heavily melanized regions and sediment infilling of rachis; both with indications of the side of the feather from which the following SEM images are derived: C, barb imprints in sediment from the pigmented region after treatment with textures resulting from regions of melanosomes; D, barb and barbule imprints in sediment from the predominantly white region lacking melanosomes after treatment as evidenced by the scarcity of textures from melanosomes in void spaces; E, void space in pigmented region left behind due to organic loss of a barb after treatment, with textures resulting from regions of melanosomes; F–G, oblong melanosomes from pigmented region after treatment. H–J, darkly pigmented feather: H, after treatment; I, barb and barbule imprints in sediment after treatment; J, SEM image of exposed oblong melanosomes after treatment. K–L, fossil feather, Early Cretaceous, Crato Formation (LEIUG 115562), showing colour patterning and preferential preservation correlated to melanin pigmentation (L); K, oblong melanosomes in the organic stains. Scale bars represent: 5 mm (A–B, H); 200 μm (C); 100 μm (D); 10 μm (E); 2 μm (F–G, J); 30 μm (I); 1 μm (K); 1 mm (L). Colour online. Variation in the amount of preserved organics between the part and counterpart was sometimes apparent (Saitta et al. 2018). The samples appear to be stable after maturation with no noticeable changes having occurred over more than a year of storage at dry, room temperature conditions inside a plastic SEM stub box. 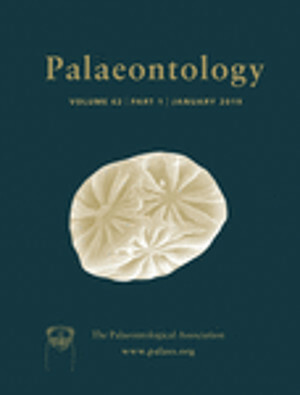 In the following discussion, the feather and lizard sediment‐encased maturation experiments’ ability to discriminate stable from unstable organics as well as their similarity to fossils is judged. Then, the experiments are discussed in relation to how they might elucidate our understanding of the importance of diagenesis in fossilization and of the correlation between molecular stability and preservation. Next, the usefulness of sediment‐encased maturation in understanding fossilization is compared to that of previous taphonomic experiments and methodologies, with particular discussion of the importance and implications of the sediment filtration mechanism. Finally, the potential and versatility of sediment‐encased maturation is discussed, particularly in relation to preservational modes beyond that of the melanin and bone preservation seen in some carbonaceous exceptionally‐preserved fossils. The observed changes in our sediment‐encased maturation experiments are very consistent with observations from carbonaceous vertebrate tissues in exceptional fossils. Matured samples resemble fossils in many ways, including ultrastructural features observed through microscopic structural analysis. Melanosomes are the sole unequivocally identifiable component of the dark soft tissue films. Tissues underwent extensive volume loss, and proteinaceous and adipose tissues appear to have, at least largely, degraded and escaped into the sediment. Bones and teeth, of course, easily survived, as they do in the fossil record. Sediment‐encased maturation is therefore expected to allow for comparisons of the survivability of organics by simulating deep‐burial diagenesis. As is the case for any scientific model, results bearing resemblance to the natural system are a testament to the accuracy of the model and, by extension, our understanding of the underlying processes involved. Like the experimentally matured lizard skin observed here, fossil reptile skin preserves melanosomes (Li et al. 2014; Lindgren et al. 2014, 2017; Vinther et al. 2016), as is the case for other tetrapod skin fossils (Fig. 2J–L; Colleary et al. 2015). Connective, muscle and adipose tissues appear to have largely escaped as breakdown products into the sediment and chamber so as to be unrecognizable ultrastructurally. Although some of these tissues can quickly decay, these experiments suggest that if they were to survive decay, subsequent significant diagenetic alteration is likely to eliminate them. As Parry et al. (2018) discussed, decay resistance does not always correlate with preservation potential. Similarly, liberated melanosomes are the only unequivocally identifiable structure in the matured feathers, as in fossil feathers (Vinther et al. 2008; Vinther 2015) (Fig. 3K, L). Original melanosome alignment is lost, potentially due to a lack of continuous, concurrent compaction during keratin degradation whereby encasing sediment might help to lock melanosomes in place and regulate the release of keratin degradation products away from the specimen. An optional second compaction after maturation can superficially remove void spaces but probably lacks the concurrent dynamic required to produce more realistic results. Variation in the degree of organic staining preserved on the part compared to the counterpart is likely a result of recalcitrant organics settling within the sediment under gravity as tissues undergo volume loss. Again, the lack of continuous, concurrent compaction of the sediment that would happen in nature allowed the resulting residues to easily accumulate at the bottom of void spaces. However, different organic staining patterns between parts and counterparts due to uneven splitting occur in fossils as well (e.g. MB.Av.100 and BSP 1869 VIII 1, counterpart and part of the isolated feather assigned to Archaeopteryx). In addition to discriminating between different organismal components in a manner similar to some carbonaceous exceptional fossils, these sediment‐encased maturation experiments may provide insight into the relative importance of diagenesis within the overall taphonomic process. It must first be kept in mind that no samples underwent decay treatments prior to experimentation, yet produced macro‐ and microscopic results comparable to fossils. The observed microbodies in regions of the samples that were pigmented in vivo can therefore be reliably identified as melanosomes as opposed to bacteria, providing yet another line of evidence within the growing consensus that such structures in fossils are indeed melanosomes (Vinther 2016). More importantly, however, these non‐decayed samples highlight the influence of the variables simulated with maturation (i.e. the time, heat and pressure of diagenesis) as well as the effect of encasing sediment during fossilization, particularly regarding carbonaceous exceptional fossils. While decay can result in tissue loss and obscure tissue identification in fossils (Briggs & Kear 1993; Sansom et al. 2010a, b, 2013), our results appear to demonstrate that sediment‐encased maturation on its own can discriminate between tissues with low and high organic preservation potential based on the thermodynamic stability of their molecular components and the mobility of their breakdown products. Unstable, mobile organics and their breakdown products appear to be lost through sediment pores while stable, immobile organics remain in situ. Experimentally‐produced soft tissue carbonaceous stains resemble preservational modes of some Konservat‐Lagerstätten, such as the Yixian Formation (see Benton et al. 2008 for a review of such Jehol Biota). Although carbonaceous fossils exhibit inter‐locality variation, they might generally result from decay‐limited environments, with late diagenesis ultimately impacting which organics are preserved or lost. Minimizing early taphonomic processes (e.g. scavenging, transport, decay) might generally favour whole, articulated, organically‐preserved, soft tissue‐containing fossils. Maturation experiments are therefore important for our understanding of many Konservat‐Lagerstätten. Thinking in terms of diagenetic influences on fossilization, one would benefit from first considering molecular thermal stability when attempting to ascertain which molecules might survive these sediment‐encased maturation experiments and, we suspect, in fossils themselves. Proteins are not predicted to be diagenetically stable in sediments (Bada et al. 1999) and appear to have been largely lost during the maturation treatment. Similarly, adipose tissues have largely been lost during maturation and are composed of triglycerides (Björntorp 1996) that are also predicted to be thermally unstable due to hydrolytic cleavage of ester bonds between fatty acids and the hydrophilic glycerol group (Wardell et al. 1981; Eglinton & Logan 1991). Cell membranes are composed mainly of phospholipids, which again are expected to be thermally unstable due to hydrolytic cleavage of ester bonds between fatty acids and the hydrophilic glycerol‐phosphate polar heads (Eglinton & Logan 1991; Zuidam & Crommelin 1995). The free fatty acid chains of labile lipids like triglycerides and phospholipids can, however, undergo in situ polymerization to preserve in fossils as aliphatic hydrocarbons (Stankiewicz et al. 2000; Gupta et al. 2006a, b, 2007a, b, c, 2008, 2009). Although chemical analysis was not performed in this study, it is possible that such kerogen‐like aliphatic molecules are present in experimental samples. Indeed, occasionally an unidentifiable amorphous material was observed in the matured lizards under SEM, consistent with a kerogen‐like substance but requiring further investigation (Saitta et al. 2018). Similarly, sterols are thermally stable and often have low solubility in water with an extremely high preservation potential (Mackenzie et al. 1982; Dreier et al. 1988; Stevens et al. 2010; Melendez et al. 2013; Plet et al. 2017), and it is possible that sterols such as cholesterol remained in the experimental samples, again requiring further chemical analysis. However, before any further discussion of potential avenues for future research into sediment‐encased maturation, the observed results of the experiments described herein should be used to inform a decision about the utility of the novel protocol in studying taphonomy. How does the novel protocol presented here compare to other methods in experimental taphonomy at realistically modelling fossilization? Does it represent a significant methodological improvement? It seems that sediment‐encased, pressure–temperature maturation produces results comparable to carbonaceous fossils and, potentially, sub‐fossil resins (see Saitta et al. (2018) for supplemental, preliminary results showing hardened tree resin with evidence of escaped maturation products, leaves producing dark stains with associated volume loss, and arthropod cuticles showing browning and relatively high stability through maturation). In comparison, decay experiments can sometimes authigenically mineralize certain tissues through phosphatization (Briggs & Kear 1993) or pyritization (Grimes et al. 2001) but do not result in the sort of carbonaceous preservation observed here. While decay can induce authigenic mineralization in some circumstances, decay resistance does not always correlate with organic preservation (Briggs 2003; Parry et al. 2018; Purnell et al. 2018). Although decay can expose melanosomes from a keratin matrix (Saitta et al. 2017b), the results here show that this can be achieved by maturation alone, consistent with the idea that decay is more of a factor in instances of unexceptional preservation rather than exceptional carbonaceous preservation (Parry et al. 2018). Acidic‐thermal experiments, on the other hand, produce compounds unlike fossils, such as SiC ceramics from wood (Shin et al. 2005). Attempts to produce highly‐precise silicified or carbonized three‐dimensional structural replicas of whole organisms through to cells and extra‐cellular proteins via replacement of original organics (Townson et al. 2014) similarly appear to produce results largely incomparable to fossils, and the experimental conditions of such treatments are probably inappropriate for modelling natural environments of fossilization. Non‐sediment‐encased maturation experiments do reveal quite a bit about organic preservation, such as the origin of sedimentary organic matter and fossil fuels (Rhead et al. 1971; Peters et al. 1981; Lewan 1983; Monthioux et al. 1985; Lewan et al. 1986; Rullkötter & Marzi 1988; Teerman & Hwang 1991; Behar et al. 1995, 1997, 2003; Koopmans et al. 1996; Versteegh et al. 2004; Schimmelmann et al. 2006), in situ polymerization of lipids (Stankiewicz et al. 2000; Gupta et al. 2006a, 2007a) or the fossilization of melanin (Glass et al. 2013; Colleary et al. 2015). However, some maturation experiments suffer from methodological shortcomings that result in unrealistic simulation of diagenesis through time. For example, some maturation experiments only elevate temperature (Moyer et al. 2016a), allowing water to boil off. This is problematic for simulating fossilization since no fossilization pathway is entirely anhydrous, and hydrolysis (a major biomacromolecule degradation reaction) requires water, meaning that the conclusion of keratin preservation in those experiments by Moyer et al. (2016a) might be questionable. Furthermore, maturation duration should be of sufficient duration and temperature to mimic fossil chemistries of the appropriate age or thermal maturity (Saitta et al. 2017a, b). For example, maturing feathers for only one hour does not completely degrade keratin (McNamara et al. 2013, 2017) and does not give comparable results to fossils of appreciable age or thermal maturity (Saitta et al. 2017a). However, in addition to careful consideration of maturation conditions such as duration and pressure, might our sediment‐encased maturation experiments benefit from another improvement over these previous experiments, one that is more fundamental to the technique itself rather than simply conditional? To answer this, one must consider how sediment encasing fundamentally changes the observed results of maturation experiments. Maturation studies of organic molecules inside sealed, noble metal capsules produce an amalgam of recalcitrant and labile maturation products. However, by allowing labile molecules to escape, any subsequent analysis will only involve recalcitrant and immobile molecules, as one would expect to find in fossils. Here we show that sediment‐encased maturation appears to allow degraded molecules like protein fragments to escape through pore spaces, while recalcitrant organelles and tissues such as melanosomes and bones remain, as might be expected in fossilization. In contrast, non‐sediment‐encased feather maturation under similar conditions hydrolysed keratin into a thick, water‐soluble fluid seen in neither fossils (Saitta et al. 2017a) nor in sediment‐encased feather maturation samples. This non‐sediment‐encased feather maturation did not reveal melanosomes under SEM (Fig. 4A, B; Saitta et al. 2017a, b), presumably obscured by the fluid. Figure 4 Open in figure viewerPowerPoint Non‐sediment‐encased maturated (250°C/250 bars/24 h) dark feathers as described by Saitta et al. (2017a, b) where maturation was performed inside a small, sealed, noble metal capsule. A, fluid produced from maturation observed adhering to the inside wall of a glass vial after extruding from the opened maturation capsule. B–D, SEM images: B, fluid extruding onto the surface of the opened maturation capsule; C, the topography of the fluid (probably influenced by surface charging); D, the finer ultrastructure of the fluid; no melanosomes are visible. Scale bars represent: 2 mm (A); 1 mm (B); 200 μm (C); 10 μm (D). Colour online. We hypothesize that sediment‐encased maturation might, therefore, yield chemical signatures more comparable to fossils than non‐sediment‐encased maturation. This hypothesis is consistent with the patterns of degradation observed here: the colour changes and loss of tissue structure are evidence that chemical alteration has occurred, while the volume loss and loss of certain tissues are consistent with the leaching of these degradation products, such as the hydrolysis of peptides and the leaching of their fragments from the specimen. For example, previous, non‐sediment‐encased maturation of melanin inside gold capsules showed that the resulting negative secondary ion spectra from time‐of‐flight secondary ion mass spectrometry (TOF‐SIMS) began to converge upon those of fossil melanin when examined using principal component analysis (Colleary et al. 2015). However, at best, the artificially matured melanin spectra only partially overlapped with those of fossil melanin. We hypothesize that this discrepancy could be due to trapped labile molecules that are not present in the fossil melanin analysed alongside recalcitrant molecules. Melanin maturated using our technique might therefore show improved chemical overlap with fossil melanin. Thus, precise chemical differences between sediment‐encased and non‐sediment‐encased matured organics should be further investigated and compared to fossils in future experiments using various chemical analyses (e.g. TOF‐SIMS). Based on our understanding of the underlying processes of maturation, particularly hydrolysis, chemical signatures of proteins and labile lipids, for example, are expected to decrease in more highly matured samples. In a similar manner, compacted sediment may even improve upon maturation experiments examining fossil fuel or sedimentary organic matter formation (Rhead et al. 1971; Peters et al. 1981; Lewan 1983; Monthioux et al. 1985; Lewan et al. 1986; Rullkötter & Marzi 1988; Teerman & Hwang 1991; Behar et al. 1995, 1997, 2003; Koopmans et al. 1996; Versteegh et al. 2004; Schimmelmann et al. 2006) or allow us to study differential migration patterns of various organics through sediment. In the meantime, however, the structural data presented here is sufficient to illustrate the mechanism of sediment filtration and the differing survivability of various organics. But is establishing such a filtration mechanism a worthwhile endeavour? In the past, others have attempted to separate out maturation products using organic solvents, such as chloroform (Stankiewicz et al. 2000). While attempting to eliminate mobile maturation products from any subsequent chemical analysis might help produce results more comparable to fossils, the use of an organic solvent is not a proper simulation of the loss of mobile molecules that occurs in fossilization, and some organic molecules that are capable of surviving in fossils might be organic‐soluble and lost from the experiment. Instead, our method accomplishes this filtration using a physical, rather than chemical mechanism, and this mechanism is directly comparable to what is expected to occur during fossilization. The advantage of our sediment filter is the ability to study variation in the preservation potential of different components within heterogeneous samples, such as whole bodies and tissues with colour patterns. In another example, Behar et al. (1997) used multiple cold trap pyrolysis‐gas chromatography to mature kerogen in an open system with elevated temperature (300°C), but for short durations (6 min) and without elevated pressure, and such open‐system attempts to artificially mature kerogen and other sedimentary organic matter while simultaneously allowing for fluid products to escape have been recognized as an established method (Behar et al. 2003; Schimmelmann et al. 2006). Again, compacted sediment probably represents a more realistic maturation environment for fossilization without creating an overly open system that might result in the loss of stable organics naturally found in fossils, as occurred in the attempts to replicate the maturation experiments on feathers in foil of McNamara et al. (2013) by Saitta et al. (2017a). Furthermore, large sediment tablets make for easy downstream analysis of matured samples using various techniques beyond those such as pyrolysis‐gas chromatography‐mass spectrometry (Py‐GC‐MS), including surface analyses like TOF‐SIMS. Overall, based on the current experiments, our sediment‐encased maturation appears to more closely model carbonaceous fossilization than previous experimental attempts. Knowing this, what are the potential uses for such a protocol, and might it help to inform our understanding of other modes of fossil preservation? Future experimentation with sediment‐encased maturation will allow investigation of the relative impact of specific taphonomic variables. Sediment type, moisture content and fluid species/pH, compaction magnitude/number, and maturation temperature, pressure, duration and pressuring gas species could all be controlled to test many taphonomic hypotheses. While the individual effect of each of these variables in isolation has yet to be fully disentangled, given that the maturation conditions used here are comparable to those of earlier non‐sediment‐encased maturation experiments (particularly Saitta et al. 2017a), it can be safely concluded that it is largely the effect of the encasing sediment that is responsible for the dramatically improved results under our protocol. Depending on the age and thermal maturity of the fossils one is interested in, further changes to the experimental variables of our method might produce results more comparable to those fossils. Large sample sizes allow for easier observations of many tissue types simultaneously. The parts and counterparts produced are easily manipulated by hand and amenable to various types of downstream structural and chemical analysis commonly run on fossils (e.g. placement onto stubs for SEM or TOF‐SIMS). A decay treatment could be applied to understand the impact of tissue loss prior to maturation (Sansom et al. 2010a, b, 2013; Briggs & McMahon 2016; Parry et al. 2018). Subsequent maturation of specimens decayed within sediment is often complicated due to difficulties in extricating the tissues from the sediment without affecting structural observations. Our method can help to circumvent this issue, since the sediment tablet containing the decayed tissue can easily be split apart after maturation. Attempting to seriously couple decay and maturation experiments in the future is important since decay inside sediment may lead to novel chemical reactions that are of significance in fossilization (Wilson & Butterfield 2014). The hypothesis of ‘stemward slippage’ observed through decay (Sansom et al. 2010a, b) can easily be tested all the way through diagenesis to determine if the stemward pattern of character loss from decay is still present after samples at various decay stages have been matured. Authigenic mineralization can preserve decay‐prone tissues, such as muscles and the digestive tract through phosphatization (Briggs 2003; Parry et al. 2015) or arthropod cuticles through pyritization (Briggs et al. 1991; Parry et al. 2018). By maturing specimens encased in sediment subsequent to decay, authigenic mineralization can be easily studied in conjunction with organic diagenesis using our method. Decay is also thought to be important in the formation of carbonate concretions, which can lead to exceptionally preserved soft tissues (McCoy et al. 2015), although experimental concretion formation has yet to be achieved (Briggs & McMahon 2016). Sediment‐encased maturation is likely to permit the easy testing of hypotheses regarding organic stabilization mechanisms during decay and early diagenesis (e.g. kerogenization, adipocere formation, sulphurization, Maillard reactions, sub‐fossil and fossil resin formation) as well as organic‐inorganic interactions and how these affect the resulting stability of the organics through late diagenesis. Decay can sometimes convert labile organic molecules into more recalcitrant forms. Studies have highlighted the potential for labile lipids such as fatty acids, endogenous to the organism within tissues like arthropod cuticle, graptolite periderm or leaves, to produce kerogen‐like, long aliphatic molecules in a process termed in situ polymerization during both decay and maturation, which may be widely occurring in exceptional fossil preservation (Stankiewicz et al. 2000; Gupta et al. 2006a, b, 2007a, b, c, 2008, 2009). For example, experiments with scorpion cuticle subjected to confined, non‐sediment‐encased maturation with subsequent chloroform washing to remove organic‐soluble maturation products found Py‐GC‐MS profiles that closely resembled Carboniferous scorpion cuticle, largely consisting of aliphatic molecules (Stankiewicz et al. 2000). Preliminary, supplemental results of our experiments are promising with respect to possible kerogen‐like preservation: angiosperm leaves lost volume and produced dark stains, and arthropod cuticles survived well through maturation and became browned (Saitta et al. 2018). Therefore, sediment‐encased maturation may show promise regarding experiments on lipid in situ polymerization to produce kerogen‐like residues. Sulphurization of organic molecules is known to take place (Sinninghe Damsté et al. 1989; Sinninghe Damste & De Leeuw 1990), whereby S crosslinking stabilizes molecules in a manner that leads one to draw similarities with the vulcanization of rubber (Ding & Leonov 1996). While melanin has been shown to react with S (Glass et al. 2012; McNamara et al. 2016), it is already recalcitrant in nature. Organically‐preserved muscle has been reported in a salamander specimen from Miocene lacustrine sediments in Spain (McNamara et al. 2010), which is remarkable for its organic preservation of an originally proteinaceous tissue due to extensive sulphurization. The same deposits are also reported to yield what appears to be organically‐preserved, sulphurized bone marrow (McNamara et al. 2006). Therefore, decay and maturation experiments under euxinic conditions should be conducted in a sediment‐encased protocol in order to examine the potential for organic preservation of labile tissue via S crosslinking. Beyond the establishment of S crosslinking, other mechanisms of organic stabilization through covalently‐bonded crosslinks between structural biomolecules exist via tanning‐like processes (Wilson & Butterfield 2014). Such crosslinking can derive from various agents including multivalent Fe, Ti, Zr and Si, aluminosilicates, polyphosphates and mineral salts such as aluminium sulphate or chromium sulphate. A common form of crosslinking involves polyphenolic tannins from plants that can bind to organic molecules like proteins, forming the foundation of the early leather tanning industry (Kanagy & Kronstadt 1943; Covington 1997; Hueffer et al. 2010). However, crosslinking might be more applicable to the archaeological, rather than fossil, record, such as the cold, acidic, anoxic, reducing peat bog environment that preserves ‘bog bodies’ with sphagnum, which contains a carbonyl‐rich polysaccharide (Painter 1991; Evershed 1992; Stankiewicz et al. 1997). While the above examples of crosslinking greatly slow down the rate of organic degradation, it might not entirely halt the process, as evidenced by the limitations of tissue fixation with formaldehyde (Helander 1994; Kiernan 2000). Recently though, Wilson & Butterfield (2014) proposed that tissues decaying in kaolin, as opposed to sand, lime or smectitic clays, may result in protein crosslinking, similar to some forms of leather tanning (Plapper et al. 1981), which might impact the quality of the resulting carbonaceous fossil. Even more applicable to the fossil record are chemical reactions involving protein degradation products, either through Maillard reactions between the amino group of amino acids (normally involved in peptide bonds prior to hydrolytic cleavage) and the carbonyl group of reducing sugars to form melanoidins that result in browning as in the cooking of food (Stankiewicz et al. 1997; Martins et al. 2000) or between oxidized fatty acids and amino acids that also produce browning (Hidalgo et al. 1999). Sugars can also react with lipids, in addition to proteins, to form advanced glycation end products (AGEs). These reactions between sugars, lipids and proteins are non‐enzymatic and are accelerated under elevated temperatures (Uribarri et al. 2010). The darkened bones observed in our lizard experiments may derive from such browning processes and further chemical analyses should be carried out (Wiemann et al. 2016); similarly, browning in any under‐matured samples should consider these reactions as potential explanations (e.g. the predominantly white region of the feather resulting in discoloured sediment in Fig. 3B might be due to slightly insufficient maturation conditions leading to incomplete protein degradation or from the low melanin concentrations in some places on this predominantly white region as visible in Fig. 3A). Sediment‐encased maturation can begin to address what crosslinking processes are likely to occur in various taphonomic settings, what types of bonds survive subsequent diagenesis, whether or not initial crosslinking ultimately impacts the quality of the carbonaceous fossil, and whether any crosslinks can stabilize polymers such as peptides through diagenesis or if the only surviving derivatives of complex, labile biomolecules are simpler AGE or melanoidin‐like molecules derived from previously hydrolysed polymers. Perhaps the most remarkable form of organic preservation is in amber (e.g. Xing et al. 2017). Resin fossilization involves water and monoterpene loss followed by polymerization, isomerization and crosslinking of the remaining recalcitrant diterpenoids (Langenheim 1969, 1990; Lambert & Frye 1982; Mills et al. 1984; Pike 1993; Ragazzi et al. 2003; Villanueva‐García et al. 2005). Preliminary results suggest that sediment‐encased maturation can harden tree resin into a translucent mass with a surrounding escape front of maturation products leaching into the sediment (Saitta et al. 2018). Whether this hardening is only a result of the escape of unstable components into the sediment, as in copal, or if subsequent polymerization and crosslinking of the more stable components has also occurred, as in amber, should be examined in more detail using chemical analyses. Ultimately, sediment‐encased maturation might provide an interesting platform on which to study the organic degradation of the inclusions within an organic matrix of stabilized resin. Thus, the method might be able to examine organic geochemistry in settings other than inorganic sediment matrices. Mimicking the taphonomic histories and lithologies of specific Konservat‐Lagerstätten using sediment‐encased maturation may produce various preservational modes beyond those described here, especially if a decay treatment is performed prior to maturation in order to induce authigenic mineralization alongside carbonaceous stains. The effect of sediment type or other abiotic factors of the burial environment on observed organic preservation can easily be examined using our method. We propose that this novel experimental procedure of maturation in compacted sediment allows for observations of the macro‐ and ultrastructural changes in co‐occurring tissues simultaneously. Sediment filtration lets labile molecules escape while retaining recalcitrant ones. For the first time, we can use maturation to illustrate the dynamic of simultaneous loss versus retention of different organics in tissues (e.g. melanin vs proteins), owing to the mechanism of sediment filtration as shown here. The results match with those predicted based on analyses of fossils and previous non‐sediment‐encased maturation experiments and are consistent with our understanding of biomolecular stability (Eglinton & Logan 1991). Sediment‐encased matured samples are comparable to carbonaceous exceptional fossils down to the ultrastructural level, highlighting the importance of diagenesis in such preservational modes in determining which tissues are likely to preserve as well as the differential stability of the molecular components of such tissues. Promising preliminary results on non‐vertebrate tissues (Saitta et al. 2018) and the ability to control many variables prior to and during maturation vouch for the versatility and potential of the protocol, providing a novel framework for hypothesis testing in taphonomy. These include examining the interplay between decay and maturation, which may potentially produce further preservational modes (e.g. authigenic mineralization alongside carbonaceous preservation as well as crosslinking of more labile molecules). Sediment‐encased maturation may one day improve upon the earliest maturation experiments studying fossil fuel formation. Many thanks to reviewers James D. Schiffbauer, Imran Rahman and Robert Sansom, and to Nicholas Edwards and Wang Yuan for providing images. We also thank Matthew J. Collins and Jasmina Wiemann for helpful discussion. Work was funded by the Geological Society of London's Daniel Pidgeon Fund. Chicken and turkey feathers were taken from purchased, deceased specimens from UK farms. Lizards, beetle, and plant tissues were captured/collected from the wild in Arizona. Euthanasia adhered to UK Schedule One of the Animals (Scientific Procedures) Act of 1986.